Fantastic Friday to you all! It’s blooming! 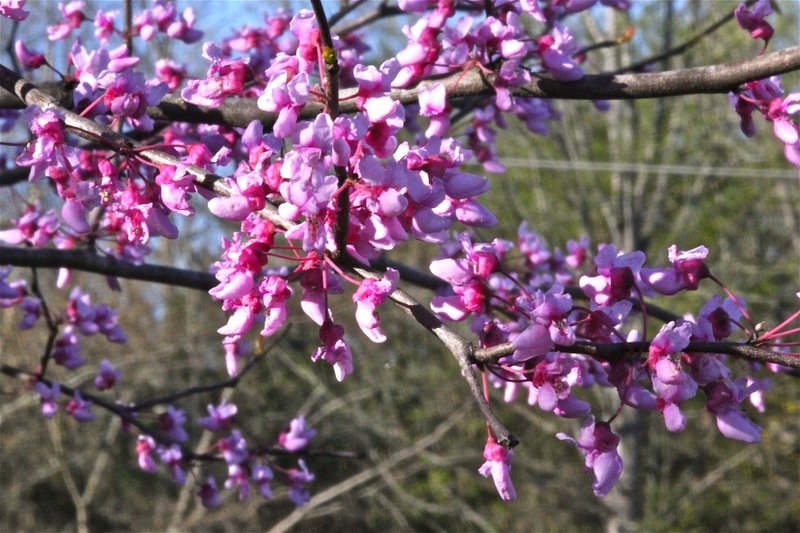 ~ flowers, trees and my allergies! Featuring more of hubby’s work…. I look forward to weekends not only because of a much-needed reprieve from work, but I get to wear jeans! I love to add a blazer and heels to dress it up a tad or a t-shirt and sandals for a lazy weekend. I figured you’d rather see the polished version than the lazy one. This is one serious looking woman! 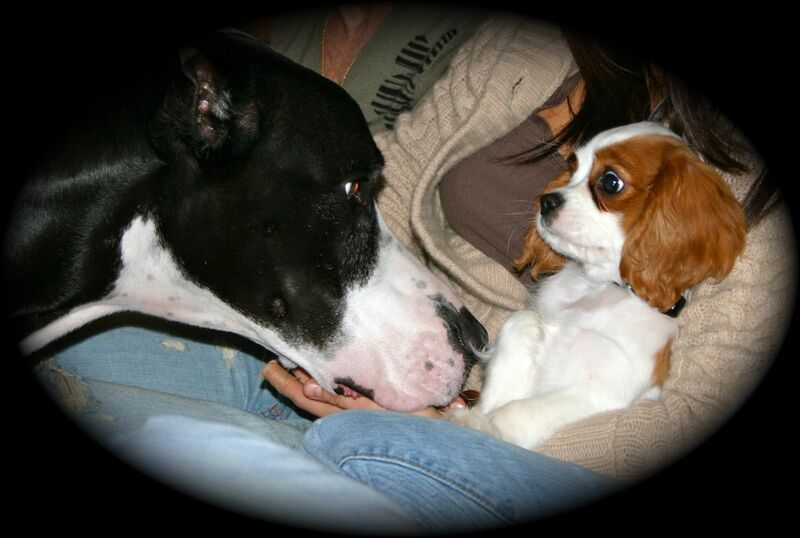 Elisa at Fun & Fabulousness posted a photo of a Great Dane on her blog recently, and it reminded me of Tobi’s first encounter with my sister-in-law’s Great Dane several years ago when Tobi was just a pup….yep, that look says it all! Drew, the Great Dane, is no longer with us…and her momma really misses her! Fashionable in his mint green polo….poor Tobi, he didn’t care much for the shirt either. I’m short, so I think skinny jeans are a shorty’s best friend. Very classic take on weekend chic. I love that gorgeous outfit!! Such great weekend wear! 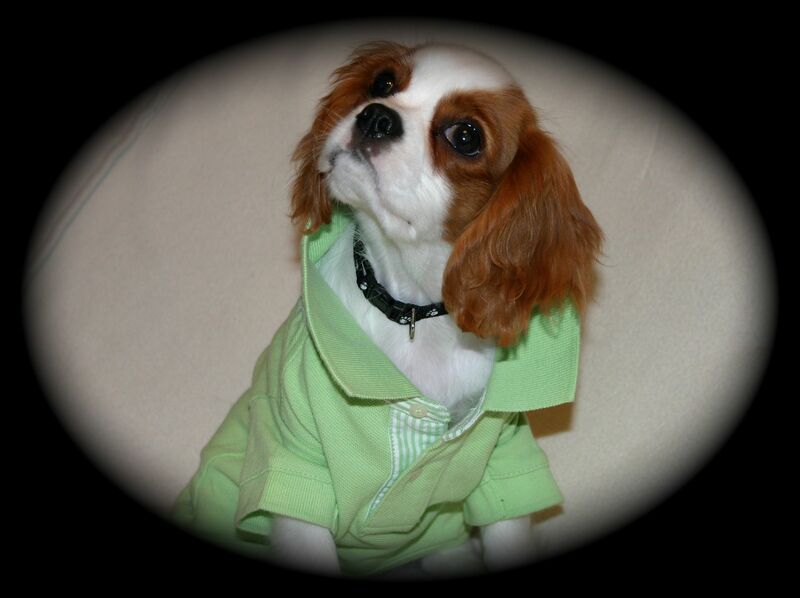 He was a styling pup waaay back before mint was even popular….although, he hated wearing that shirt! You are officially my style icon…I love this look, it is so pulled together but it is so effortless. Wow! What a super nice thing to say! 1. those flowers are beautiful. 2. that jacket you’re wearing is fantastic! can’t wait to see more outfits! You always look fabulous, I bet the “lazy” weekend look is also gorgeous! Love your style (and that handbag, hello!!!)! Thank you so much! Haha…guess you like the bag? :) It’s SO big!! I may have try Flonase…I’ve tried just about every brands for allergies out there! That Tobi knows how to strike a pose!!! I just want to snuggle him and give kisses too. You look fab as always. Jackets just add a finishing touch to jeans and T’s. I do look forward to cking in on my friend Jeannie!!! Have a great weekend! Oh, it was funny, what you said the other day about running and knees, I can indeed relate. My heart is 25, my joints, not so much. LOL. I’m running a little anyway, thank goodness for advil! As for Tobi, he’s a natural!! I’ll give him a hug & a kiss from you! Your trees are super beautiful. We are having an early spring as well. Yeah, it’s gorgeous right now with all the vibrant blooms…I’m just afraid it will be an extremely hot summer since the spring came so early. the structured blazer, jeans and heels is awesome for a casual friday… if i can ditch this last 20-30 pounds that needs to go away? i might try it! happy weekend! and Tobi is a brave pup — i could never dress up Mr. Pickles, although the kids and i agree that he needs to wear a green velvet smoking jacket when i have parties! You’d look like a stick if you lost 30lbs! Voluptuousness is a good thing…oh, I wish! Tobi doesn’t care for clothes…I don’t blame him. Smoking jacket would be so cool! See, this is the look that you seemed to be going for a few posts ago (I didn’t like) and yet, it is perfect here! You look terrific! What kind of work do you do? I wish I could dress this way at our office. Thank you! Glad you like the outfit! You look stunning, as always. A note re allergies. I suffered for 35 years with horrific allergies, red, tearing eyes, runny nose & sneezing. Then I started going to acupuncture for a serious back problem and voila! the allergies disappeared. That was 34 years ago and I still go for regular acupuncture sessions, sometimes weekly to boost healing from the massive rotor cuff surgery last fall, or for processing grieving the loss of my soul-sister in January to monthly for an overall body, mind, spirit tune-up. I use Community Acupuncture, that exists in many places. Their suggested donations are totally affordable: $15 for an hour for a senior, $20 for others. I am a BIG fan of acupuncture. And no it doesn’t hurt and I fall asleep during the hour for added rest. And, if I may be so bold, as a professional photographer, I might suggest hubby may want to consider including your feet in the full body shots. Just a standard in classical photo tradition. Have a splendid weekend. It’s due to storm here in Berkeley, CA. Hmm…I don’t like needles that much. Also, I live in a small town and no acupuncturist around here. I’m trying the natural way to fight off the allergies…honey! Now, I do like honey!! I’ll tell hubby to get my shoes next time! 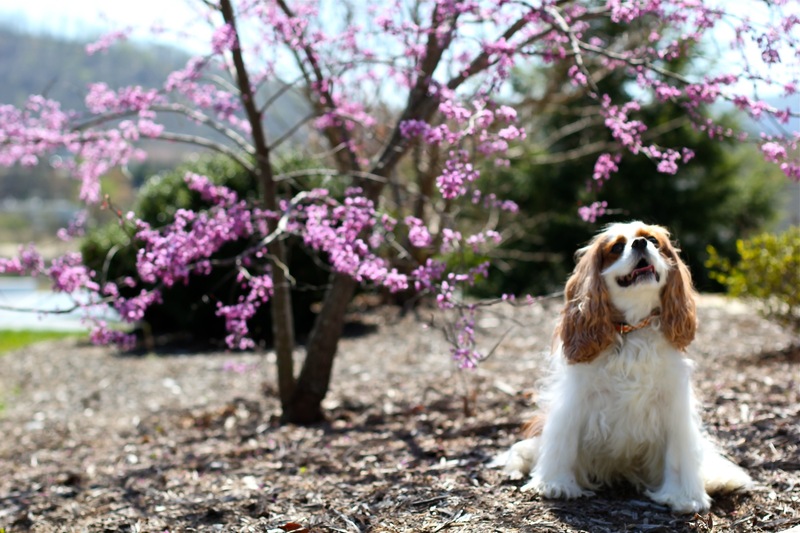 Yes, Tobi is a Blenheim Cav! I agree with you in all points!! Most lovable! I think we’re to have a rainy weekend here, too. Happy weekend to you! Hi Jeannie, modern and youthful outfit. I love the way you wear your T-shirts, with the wrinkle at the waist, you looks good. Your combinations are always correct. Perfect. I think you must know about fashion/style very well! I like how you describe my outfits….you do a better job than I. I always appreciate your input! Love the blazer with the pink T, it looks fab! Plus your pup is so super cute! Adorable! Thank you sweetie! Tobi is a cutie, isn’t he? He is pretty cute! My boyfriend and I are adopting a rescue dog tomorrow, I’m beyond excited! How exciting!! You need to do a post with your new pup! Have a great weekend! That is a perfect blazer. And I like the attitude in how you wear it. I love this outfit!! Your blog is why I have a shopping addiction! Love blazers with jeans; I have loved that look my whole life in every form since the 70s! It’s always “right”. And your FLOWERS! Some of ours came out and now we have a hard frost. So sad–good ol’ southern Ontario. It’s gotta be one of my favorite look as well…my go-to weekend outfit. A quality blazer can last you a lifetime, and they’ll always be in style….just my humble opinion. Tobi’s expression IS priceless! He was such a cute pup…now he’s growing up, too. I worry about not having him around for much longer…I can’t even bare the thought. Is it unhealthy to love your pet this much? Awwww, Tobi looks too adorable in his mint green polo shirt and just love the pose under the blossiming tree. Too precious … and Mom looks mighty fine herself in pink. Tobi’s SO photogenic! Seriously, he’d look cute covered in mud, or it might just be that I’m so crazy about him! Tobi is a good sport. Is your jacket linen? It’s a lovely combo with the pink and the jeans. Tobi is good…as long as he gets a treat! Yes, the jacket is linen, it’s my go to spring/summer material….LOVE linen! Aww…Tobi is so cute. That first photo of him would make a photo for your wall or table top. He is really adorable. You look effortlessly stylish and ready for the weekend.